(L to R) Gharizi, Thomas, & Stewart. 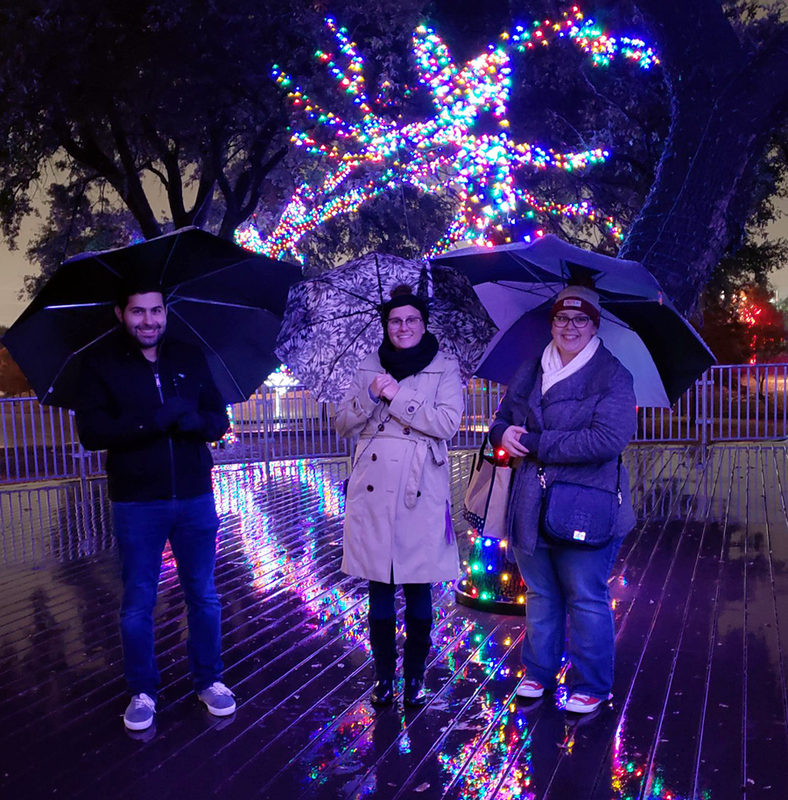 The chapter hosted a holiday event on December 7 at Vitruvian Park in Addison, TX. The event included walking through the park’s tree lights and having snacks. Stewart captioned her image with, “Thank you everyone for a great 2018! We’re looking forward to next year and improving your TBP alumni experience.” The two others pictured are Omar S. Gharizi, TX A ’16, and Kaitlyn Anne Thomas, TX I ’15. NASA’s Marshall Space Flight Center in Huntsville, AL, has announced the appointment of Larry Leopard, AL D ’87, as director of the Engineering Directorate. According to the announcement, the Engineering Directorate is responsible for the design, testing, evaluation and operation of flight hardware and software associated with space transportation, spacecraft systems, science instruments and payloads now in development at Marshall. Leopard joined NASA in 1990 and graduated from the University of Alabama in Huntsville with a degree in mechanical engineering. Two Tau Bates were recently selected for the 2018 CoSIDA Google Cloud Division II & III Academic All-America® Volleyball teams, respectively. Azita Bakhtyari, MA A 2019, a mechanical engineering major at Worcester Polytechnic Institute, and first team Div. III All-American; she is a setter on the varsity volleyball team. Bakhtyari is a two-time Academic All-American, holds a 4.0 GPA, and plans to attend dental school. Emily R. Torve – MN B 2019, a University of Minnesota Duluth chemical engineering major and second team Div. II All-American; she is a setter on the varsity volleyball team. Torve was named to the American Volleyball Coaches Association All-American second team, leads the nation is assists per set, and set a league record with four straight weeks as the NSIC Setter of the Week.